The Hyundai Accent is a small, four-door subcompact sedan. It's the smallest Hyundai available in the U.S. and the least expensive. With the newly revamped Accent, Hyundai has one of the bigger sedans in its class, although it's not very exciting to drive. The Accent is a competitor for vehicles such as the Honda Fit, Ford Fiesta, Kia Rio, and Chevrolet Sonic. The recently redesigned Accent adopts a new shape that mimics that of the bigger Sonata and Elantra sedans. It shares their six-sided grille, has a similar roofline, and a contoured dash that bears a strong family likeness. No hatchback model has emerged yet in this new generation—though the similar Kia Rio emerged new in 2018 with both sedan and hatchback body styles. A 130-horsepower inline-4 powers the new 2,500-pound Accent. It's paired with either a 6-speed automatic or a 6-speed manual. The front-strut and rear torsion-beam suspension are matched with electric power steering, front disc brakes (all discs on more expensive models) and 15- or 17-inch wheels and tires. The Accent can carry four adults, with front head and leg room put in priority position. The rear seats fold down to expand the Accent's already large, 13.7-cubic-foot trunk. Hyundai gives every Accent a rearview camera, but automatic emergency braking only comes on the Limited trim level, which also comes with heated seats, 17-inch wheels, a sunroof, and a 7.0-inch touchscreen infotainment system with Apple CarPlay and Android Auto compatibility. The Accent skips navigation, leather, power seats, and other nice things, but all models carry a base price of less than $20,000. For 2019, Hyundai added LED headlights to the Accent Ultimate. 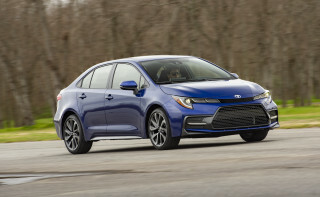 The last Accent arrived for 2012, offered in four-door sedan and five-door hatchback body styles. It was larger than its predecessor, nearly a compact in size, and offered a more sophisticated experience to go along with improved efficiency. An updated 1.6-liter inline-4 engine made 138 hp and was available with the choice of a 6-speed manual or 6-speed automatic. It was a better performer, and was very well-executed, with adult-sized room in front or in back, with a smooth powertrain that accelerated at or above the usual econocar pace—all with a level of fit and finish a notch above the rival Fiesta and many other subcompacts. Not only that, it proved to be better equipped, with available Bluetooth, power features, and standard curtain airbags and stability control. The Accent's fuel economy, however, was not as good as was initially marketed. In November 2012, the 2012-2013 Hyundai was found to have misstated gas-mileage figures for the Accent and several other models due to what it termed "testing errors," for which it compensated owners of the affected models. While the 2012 Accent was initially rated and promoted at 30 mpg city, 40 highway, the EPA deemed its actual fuel efficiency to be 28 mpg city, 37 highway. Owners were asked to register with Hyundai to receive reimbursement for the gas consumed above and beyond expected levels at a website, HyundaiMPGInfo.com. Over its lifespan, this Accent tumbled as crash tests became more difficult. The NHTSA gave it four stars out of five overall, but noted some excessive intrusion in the side-impact test. 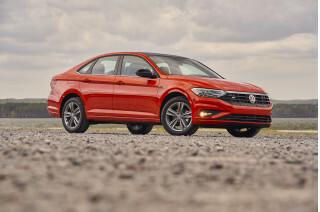 The IIHS gave it a poor score in the new small front-overlap test and an acceptable score for side impact protection, with good scores in the rest of the testing. 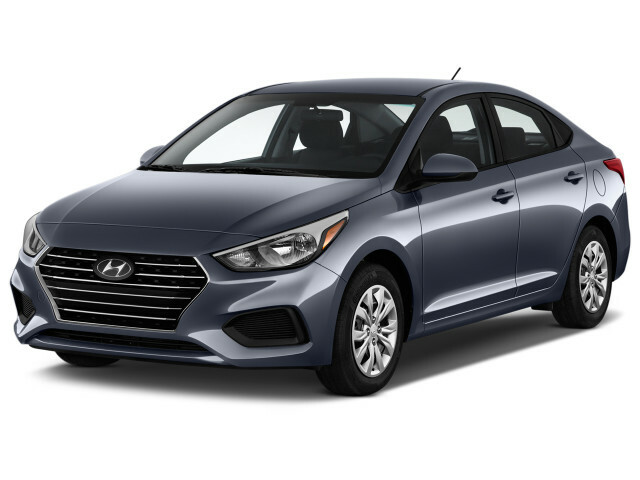 In the second model year of this new body style, Hyundai gave the Accent more standard features in base GLS sedan form such as air conditioning, cruise control, and power windows, but raised the base price by $2,000 accordingly. The Accent was mostly unchanged for 2014. 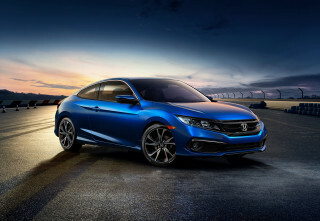 The 2015 model year brought a light restyling, with a new grille design up front. Accent GL and GLS models also got revised headlights, and the GLS adopted its own taillight look. Some features were moved around and repackaged, and the lineup was pared to three models: SE sedan, SE hatchback, and Sport hatchback. 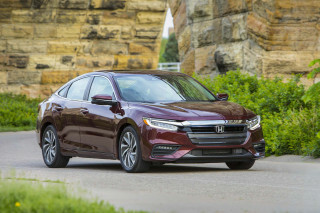 No major changes were made for the 2016 and 2017 model years. 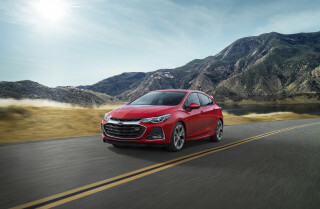 Originally available in GL, GLS, and GT trims, with a choice of 1.5-liter and 1.6-liter engines, the Hyundai Accent has been simplified over the years. The first-generation car was a low-priced, often low-quality mode of basic transportation. The second-generation Accent was offered from 2005, and trim choices eventually were reduced to a trio: the GLS model, with a choice of continuously variable (CVT) or manual transmissions, was offered in the sedan body style, while the hatchback was offered in GS and SE trims, with the SE replacing the previous GT trim as the sportier take on the Accent. This generation was powered by a lone powertrain: a 1.6-liter 4-cylinder good for 110 hp. The car offered good interior space and storage capacity, as well as standard air conditioning and a 60/40-split rear seat for cargo flexibility. It didn't fare too well in safety tests; U.S. versions got some extra reinforcements, but still did not excel in side-impact collision testing. Awesome very happy. Very practical . Good styling. Straight forward dash.